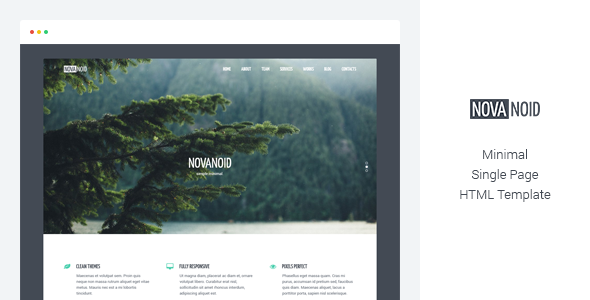 Novanoid – it’s simple one page HTML template based on Bootstrap 3. Package include 2 HTML pages and 2 fully layered PSD files. Also template has structured code. Item Reviewed: Simple one page HTML template based on Bootstrap 3 9 out of 10 based on 10 ratings. 9 user reviews.